HamAntCal Version 3.1 (Ham Antenna Calculator) will simply and intuitively calculate for you the starting length needed for constructing your antennas in feet/inches or in metric. It will calculate the starting length for "Dipole's", "Inverted Vee's", "Vertical's" and has a page for calculating 1/8, 1/4, 1/2, 5/8 and "Full Wave" length. ▪This update requires iOS 8.2 and above. ▪ HamAntCal works in feet/inches as well as metric. ▪ The easy to use and intuitive interface makes it easy to calculate starting lengths for building your antennas. It will calculate the starting length for "Dipoles", "Verticals" and "Inverted Vee" antennas. 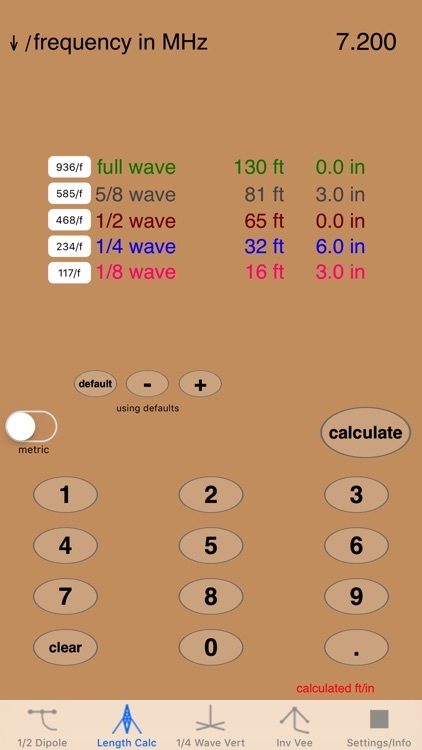 There is also a page for calculating 1/8, 1/4, 1/2, 5/8 and "Full Wave" length. ▪ I have come across a lot of different and conflicting information for calculating the length of an "Inverted Vee" antenna. Some say subtract 2 to 5 percent based on the angle of the wires. Others say to add a percentage based on the angle of the wires down from horizontal. 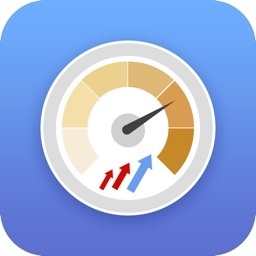 I decided to test this before releasing this app. 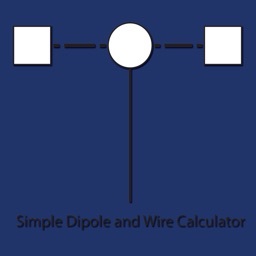 First I calculated for a "Dipole" using the "Dipole" calculator. Then I put together a "Dipole" with a support for the center insulator as well as the ends. I measured the resonant frequency with an antenna analyzer. Then I brought the ends down towards 45 degrees from horizontal. As the ends were lowered the resonant frequency increased. This means that the length of the "Inverted Vee" would need to be increased to stay resonant at the same frequency as the dipole. 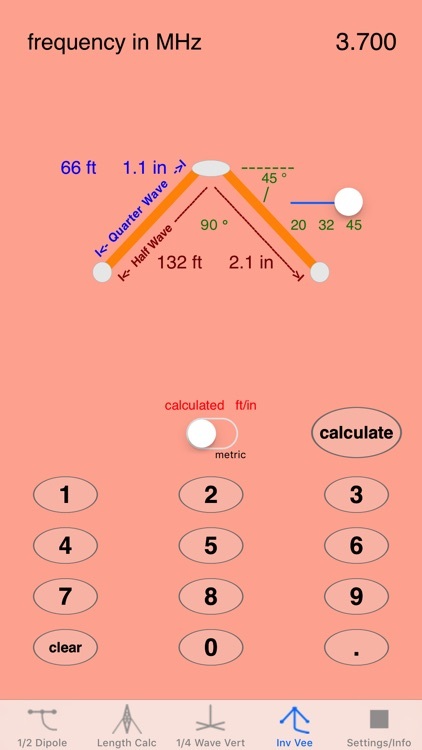 The "Inverted Vee" calculator has a slider that starts up with an angle of 45 degrees and can be adjusted down to 20 degrees continuously re-calculating as it is moved. This corresponds to about 4.5 to 2 percent added to the length of the "Inverted Vee". 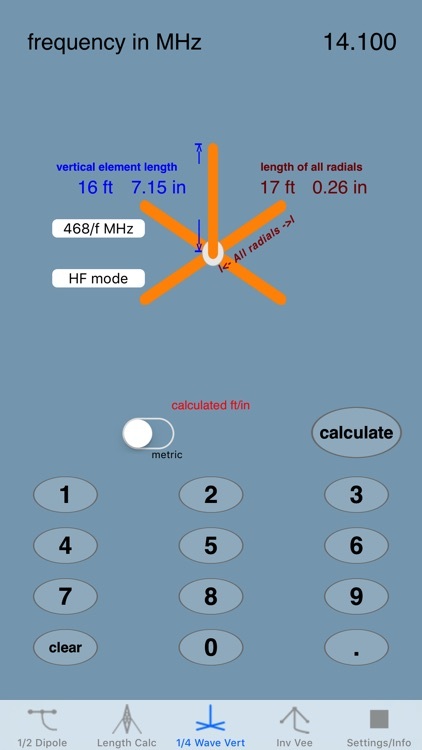 ▪ No antenna calculator can give exact results in every case. 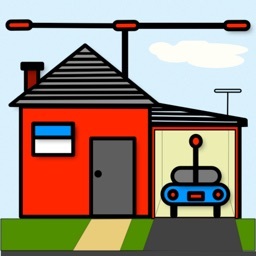 Much will depend on the wire used, the height above ground, the ground itself, nearby objects, etc…. It's always a good practice to add a little extra wire and then trim up to the desired frequency. 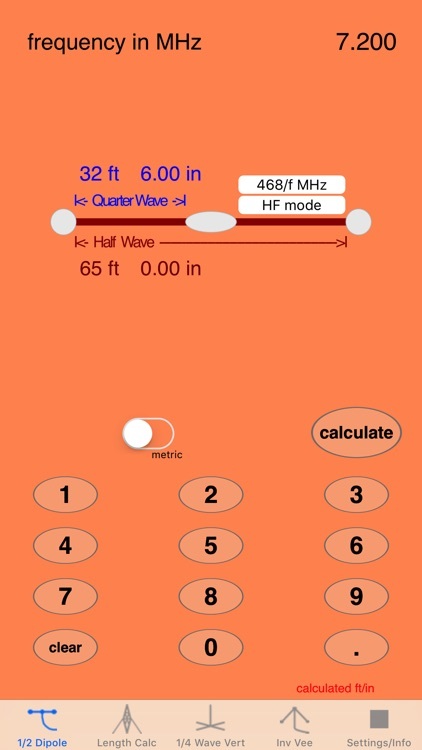 ▪ This calculator will calculate from 30 Khz to 500Mhz for the "Dipole", "Vertical" and "Length" calculators. The maximum for the "Inverted Vee" calculator is 60MHz. ▪ This calculator does not give exact measurements and the results will need to be trimmed using an antenna analyzer or SWR meter to the exact frequency after installation. Leave some extra wire on each section for trimming and wrapping around the insulators. ▪ Keep in mind that there are a lot of factors that can affect the resonant frequency of an antenna. At VHF and above even a small change in the length or diameter of an element can make a large change in the resonant frequency of an antenna even more so than at lower frequencies. 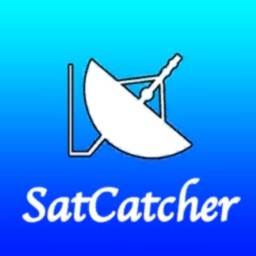 This calculator just provides the starting length for building an antenna and proper matching methods will need to be used. ▪ Please be safe while building your antennas. Always use the proper safety equipment. 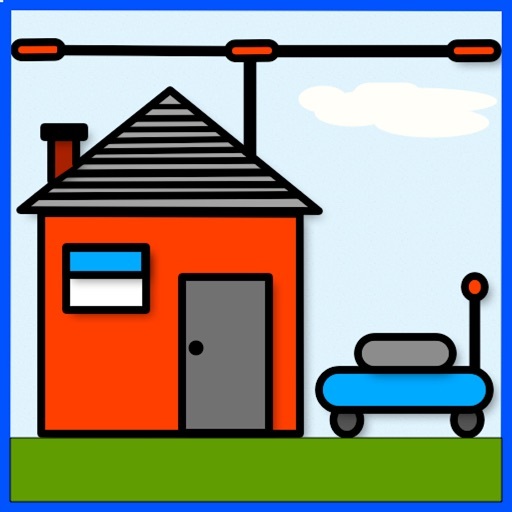 Never build your antenna where it can come in contact with power lines, this includes the supports as well as the antenna itself and feed lines. BE SAFE! ▪ Although I have had good results using this calculator the results are not guaranteed. Always add some extra length and trim the antenna to frequency (it's much easier to trim than it is to add wire to the antenna). Please feel free to contact me with suggestions, problems, compliments, ideas for improvements or additions to HamAntCal. 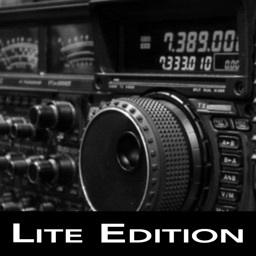 Your ratings are appreciated.